In the last month of adventurous video gaming, I had jumped from the Game Boy Advance to the DS and started with Henry Hatsworth in the Puzzling Adventure. As I’d said at the time early on it was an interesting with platforming and a puzzle game together. Unique is definitely the word to describe it. However, as the game progressed it became a bit too daunting in difficulty for its own good. I stopped short of finishing it because I didn’t want to ruin the memories of it actually being fun when it was. 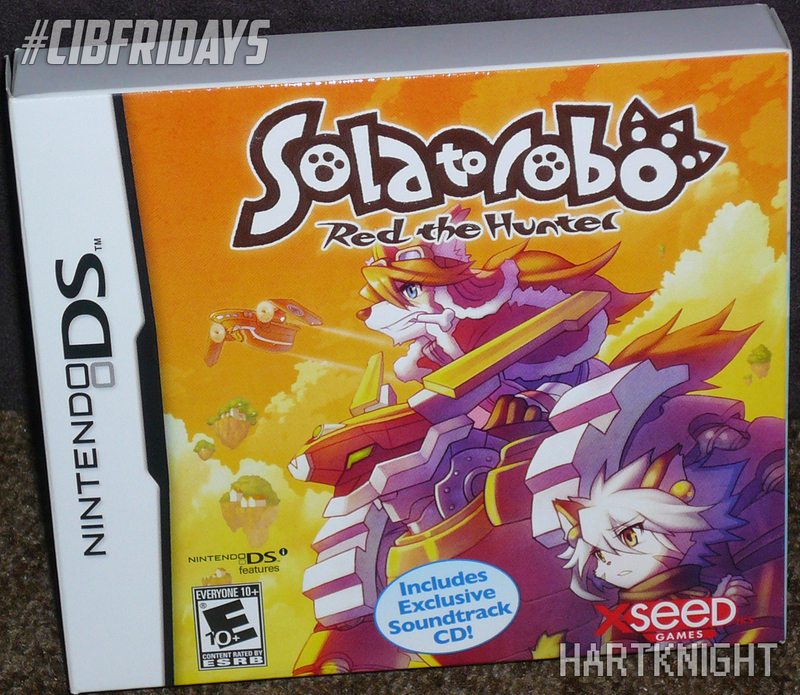 I moved onto Solatorobo: Red the Hunter (CIBfridays). It had a fun story and adorable characters. While the gameplay is basic, it at least doesn’t overstay its welcome like most RPGs do. It may not satisfy long time RPG fans at around 20 hours in total for both parts of the story, but it works well for those, like myself, who don’t play many RPG titles. At the same time I also was playing Steal Princess. Unlike Henry Hatsworth, this game is exactly what you think of when hearing it’s a puzzle platformer. This wasn’t a game I expected to complete, but what I did get through was enjoyable. Next up I plan on going back to the PS3 and playing Call of Juarez: Gunslinger and Enslaved: Odyssey to the West. On my recent DS activities after playing Henry Hatsworth has been fun. 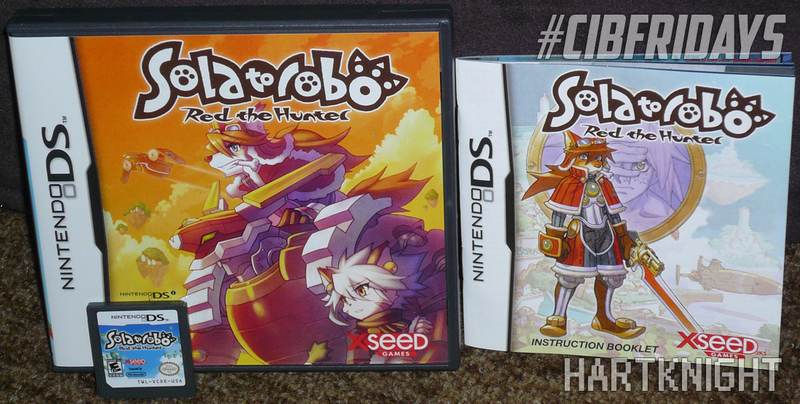 The XSeed developed Solatorobo: Red the Hunter had a story that wrapped up after ten chapters. Then the credits rolled as you’d expect, but then it informed me that there’s a part 2 and it’s…now. That’s right there’s a second part to the story. My thoughts on the actual gameplay is it’s usually a one button affair with some jumping in the mix. Jumping to throw an enemy does more damage so it’s a thing you’ll want to do. Otherwise the game has tons for story, despite the story itself being rather basic. You’ll be tapping the A button a lot to get through dialog that seems unnecessarily at times. Almost as if the characters are Rachel Maddow in how they over explain the simple things going on. Regardless the characters and world are endearing even if the many dialog boxes get annoying at times. I’m also playing Steal Princess at the same time. It’s quite the different game. It’s a puzzle platformer with six worlds consisting on 25 levels each. This makes for 150 levels in total. Some are very easy to figure out while others have me reaching for an FAQ. Either way its a worthy Atlus game to get. At the time I bought it I was trying to get a $10 GBA game, but Amazon sent me Steal Princess instead…twice. 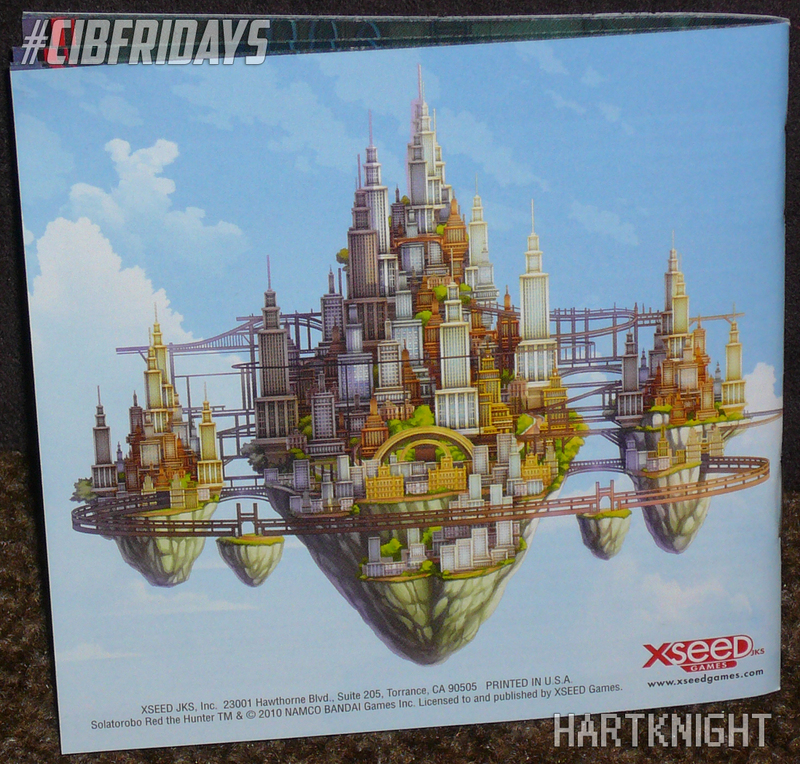 In preparation of starting to play my next DS game I figured I’d feature said game in a Complete In Box Fridays feature. The 20th one at that. The game is CyberConnect2 and Xseed Games’ Solatorobo: Red the Hunter. Despite owning this game since it was released in 2011, I know only a few things about it. 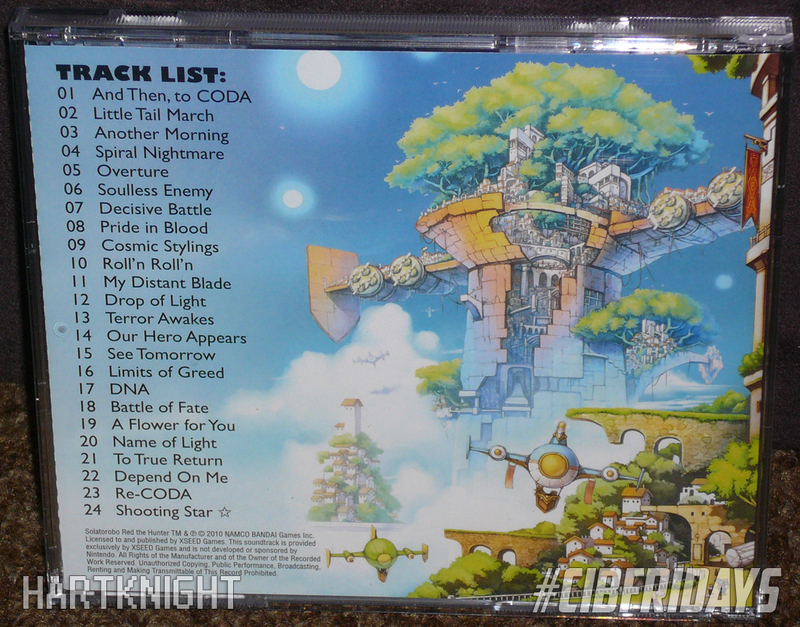 It’s an action RPG with a predecessor on the original PlayStation from 1999 called Tail Concerto. As you’d likely expect, Solatorobo doesn’t exactly pop up out of nowhere when shopping for games. I’ve certainly never seen it anywhere. 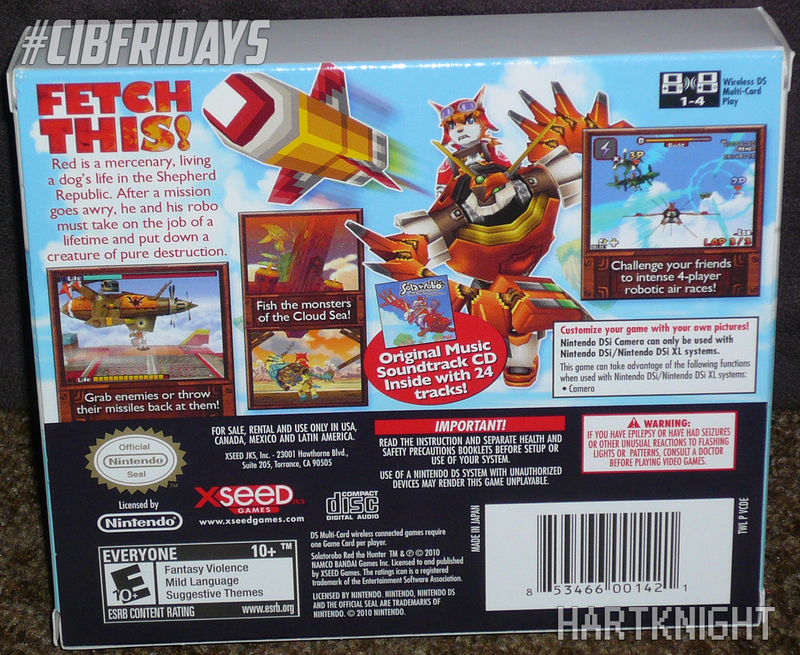 It’ll come as no shock whatsoever that Solatorobo currently fetches $63 for a complete copy. 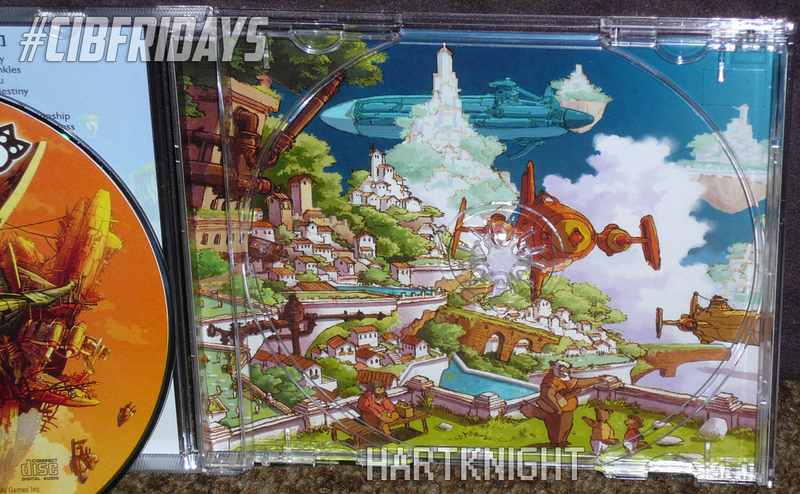 As you’ll see in the photos below, a complete copy consists of the typical DS game case, manual, and game card along with a soundtrack on CD all in a nice cardboard box. Speaking of the photos in particular, you can click on them for a closer look. I’m off to play this game now. Wish me luck! A few games became free on the PlayStation Network recently namely the 2007 PSP game Valhalla Knights, and the first episode of Telltale Games’ The Walking Dead. These are a limited time offer and I downloaded them within the first three days of October. I’m not sure if they are still available or not. I also have recently rewatched the movies of Halloween II, 4, and H20. Those are my favorites of the series and I’m sure not seeing the 1978 original listed might be a surprise. Regardless, they are the three I usually watch each year. I’ve had them on DVD with Halloween II being a 2001 release, Halloween 4 from 2006, and H20 from 1999. I’ve noticed the seventh film doesn’t get treated well on home releases. The only DVD release is the 1999 version and the current Blu-ray version isn’t very good at all. Halloween 4, on the other hand (along with 5), gets commentaries, decent transfers, and the like. Speaking of audio commentaries, I love them and I must have them if at all possible. I don’t like bad ones, however (Terminator 3 anyone?). Halloween 4: The Return of Michael Myers has two on the 2006 DVD and two on the 2012 Blu-ray. The one with Ellie Cornell and Danielle Harris are on both, but the DVD has one with the screenwriter and it’s switched out for a director commentary on the BD. 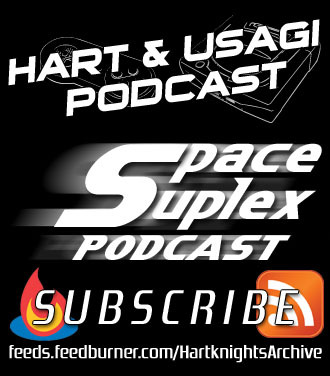 I can’t get rid of the DVD release since its exclusive commentary is entertaining to listen to. That’s enough spooky movies from me. What movie(s) do you watch every Halloween? P.S. : Don’t miss out on Usagi704’s review of Dark Souls published yesterday. Over the last week I’ve added new game and TV titles to my ever growing collection. I tried to purchase Ys: The Oath in Felghana off of Glyde, but the seller I guess decided to not sell the game in the end. This sent me to eStarland to find it. While they didn’t have this Ys III remake, they did have Ys I & II Chronicles. I didn’t care which of the two PSP titles I got. I just wanted one of them. So I decided to go with that and added Goldeneye 007: Reloaded on for good measure. Another game store I’ve mentioned before, Gameplay Unlimited, is about an hour out of town, but it’s probably the best I been to that isn’t local. I couldn’t find anything from my wish list, but I did remember the Dragon Ball Z Game Retropective done late last year by ProJared once I saw a bunch of DBZ GBA carts. After some research on my phone I picked up Dragon Ball Z: Supersonic Warriors (covered in part 3 of the retrospective). Finally the newly released game that a big beat-’em-up fan like me can’t do without at $10 less than the usual retail price…Dragon’s Crown. I doubt this game needs to be explained other than to say it’s a ++10/10! I happened to stumble upon these Star Trek: Fan Collective DVD sets and because I didn’t know about them I thought they were new. As it turns out they’re six years old. I found this out when I was inserting them into my spreadsheet/collection database. Regardless, I have been on a Star Trek: The Next Generation kick as of the last two weeks and felt these themed sets were perfect. I bought two sets; one on the Borg and the other focusing on all five television show’s captains entitled “Captain’s Log.” There is one other of these sets themed for Q which I’d also like to get at some point. 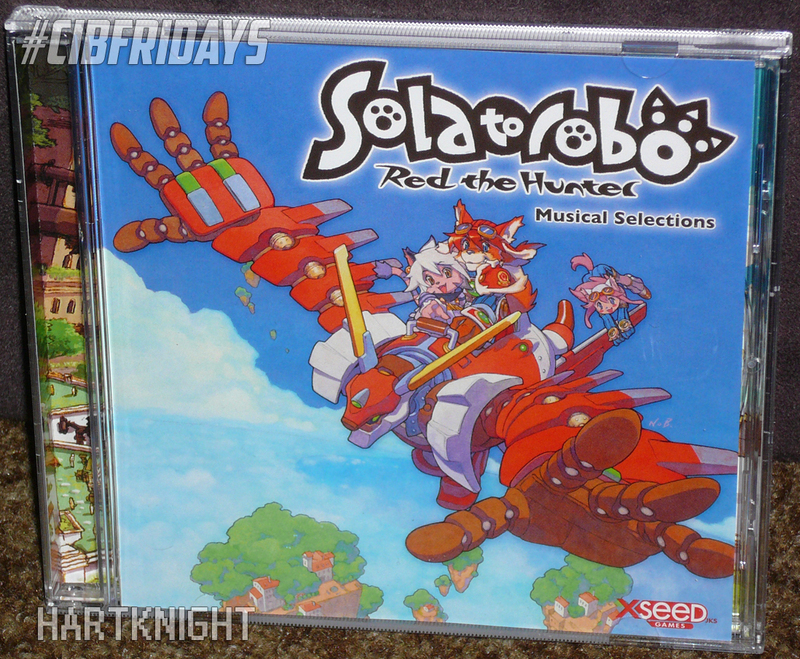 A game I’ve had for three weeks now, but didn’t mention because of my Halloween Gaming blog posts is Solatorobo: Red the Hunter. It’s a successor to the PS1 game Tail Concerto. I did hear of this game before the new one on DS was developed, but only around a year or two before. I haven’t played it yet. I’m still on Demon’s Souls after all. Now onto much more recent news. Six hours ago (as of this posting) I had won a copy of the recently released downloadable game Zombie Apocalypse: Never Die Alone via Konami’s Twitter Sweepstakes. Thankfully they chose the correct system. An X360 code wouldn’t do me much good. Fairly recently I decided to make up a list of games that have left unfinished and mostly focus on getting to the finish line. I would list them here, but I keep taking some games off of the list because I either find out that they’re too frustrating to continue (ie: Urban Chaos: Riot Response) or barely started to even count as being played in the first place (ie: Sonic Rush). Four games that I’ve now completed are as follows: Retro Game Challenge, Biker Mice From Mars, Metal Slug, and TMNT. I purchased this game when it was released back in the early part of this year. I kept at it until I got to the last challenge which was to beat all of the eight games included. I had only half left, but for whatever reason I didn’t get back to it. Once I did get back into it, I quickly beat Robot Ninja Haggleman 2 , Rally King, and Rally King SP. Guadia Quest was the lone RPG left and I’m sure that most people leave this one until last since it does take up a majority of the time to get through. It was very satisfying to beat and I can’t recommend this DS game enough to those that are willing to relive the older days of gaming’s history; the good, the bad, and the difficulty. This game may seem strange to some, but those that grew up during the time that I did will probably remember a cartoon by the same name in the early ’90s. This DS game in particular is from the 2006 series revival that came to North America last year. Instead of just racing, like on the SNES, this game is also the typical licensed fare of action-platforming. A single level sometimes feels like it goes on forever and the enemy groupings can be pretty cheap causing frustration to set in. Despite that the final boss was very easy to beat. I don’t really have much to say about this game. All I had left was the final mission and it was really short especially when compared to the one in Metal Slug 3. That one was way too long. My main complaint was that the cheapness of it originally being an arcade game made for many deaths. Otherwise it was fun. Oh my. Where do I begin? The combat in this game is completely and utterly boring. No matter what’s happening or what moves are at your disposal, it’s the same from beginning to end. The platforming is fun when you can get on a roll, but usually this is interrupted by a bad camera angle or zoom position. My biggest problem is that because of the bad camera you’ll have times where you’ll jump too close to a wall and because of this you’ll do a wall run to your death. It’s also bad when you have to deal with moving platforms as you will likely fall off a lot when making a jump to the next one. As far as where I was in the game. It showed 51% complete, but that was referring to unlocking everything, which I don’t care about. I think I played about three levels and then quickly finished off the few bosses at the end. I feel the same about this game as I do for the movie of the same name. It looks pretty good, but has little substance to keep you coming back for more. Thanks for reading what I guess can be considered mini-reviews. Later!